Happy reading Friday! Please enjoy a reading of 2 poems from F. Douglas Brown’s new book of poetry ICON, now available from Write Large Press. F. Douglas Brown, inspired by Lawrence’s 1938 panel series, which observes both Frederick Douglass and Harriet Tubman, brings ICON, a biographical/poetic reflection doing the task of considering and re-considering role models, heroes. Through conversations with poets, pop stars, comic book sensations, and of course, the historical characters Douglass, Tubman and Lawrence, Brown distills this discussion into an examination of the self. Everyone got high levels of entitlement in our veins. who grew up in a one room matchbox. boxes our church delivered to us. paste, who the “F” does she think she is? 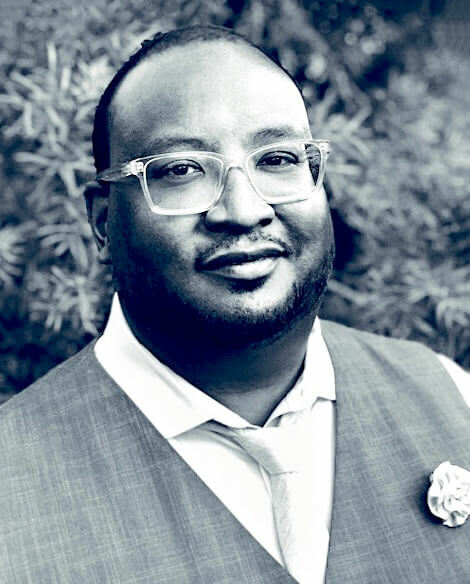 F. Douglas Brown is the author of Icon (Writ Large Press 2018), and Zero to Three (University of Georgia Press 2014), winner of the 2013 Cave Canem Prize. He also co-authored with poet Geffrey Davis, Begotten (Upper Rubber Boot Books 2016), a chapbook of poetry published as part of URB's Floodgate series. Brown, an educator for over 20 years, teaches English at Loyola High School of Los Angeles, an all-boys Jesuit school, and holds fellowships from Cave Canem and Kundiman. He is the co-founder and curator of un::fade::able, a quarterly poetry reading series which honors the legacy of Sandra Bland while examining restorative justice, and ways to address racism through poetry. This entry was posted in Audio, Featured, Lit, Poetry, Reading and tagged Book, Circa, Daguerreotype, Douglas Brown, excerpt, fire, free hymn, Icon, passage, Poems, Poetry, reading, Safe. Bookmark the permalink.